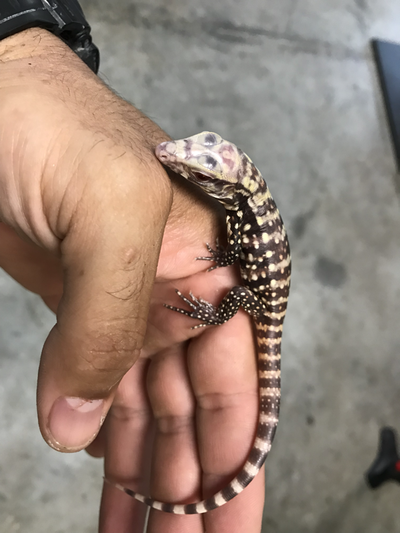 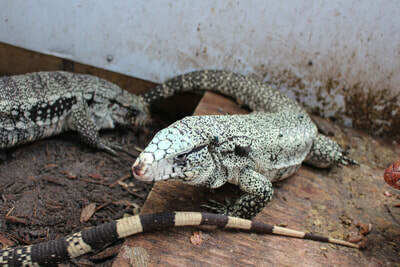 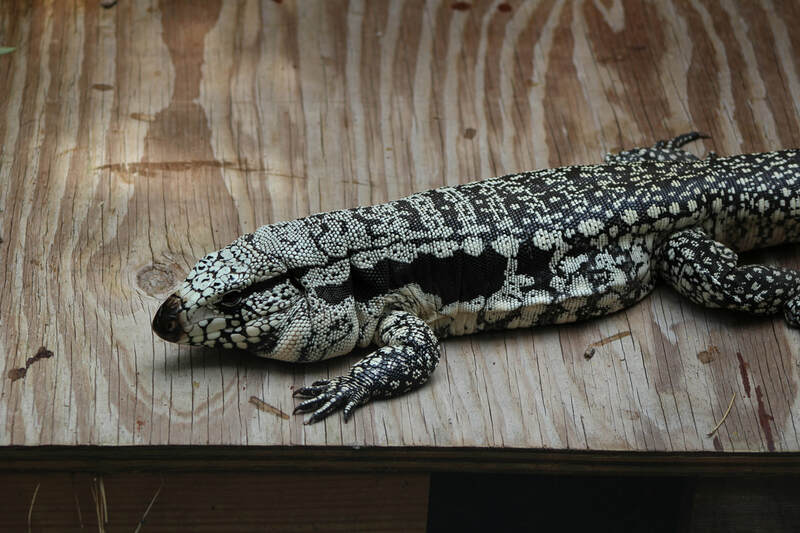 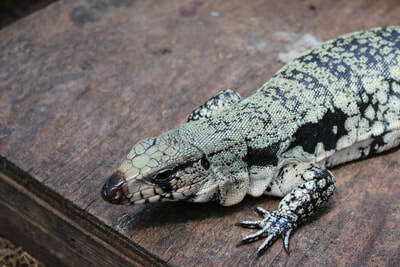 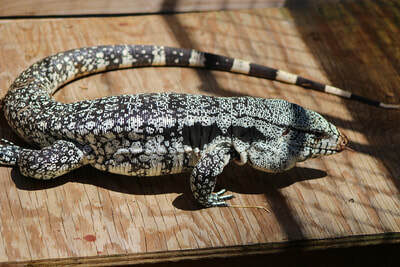 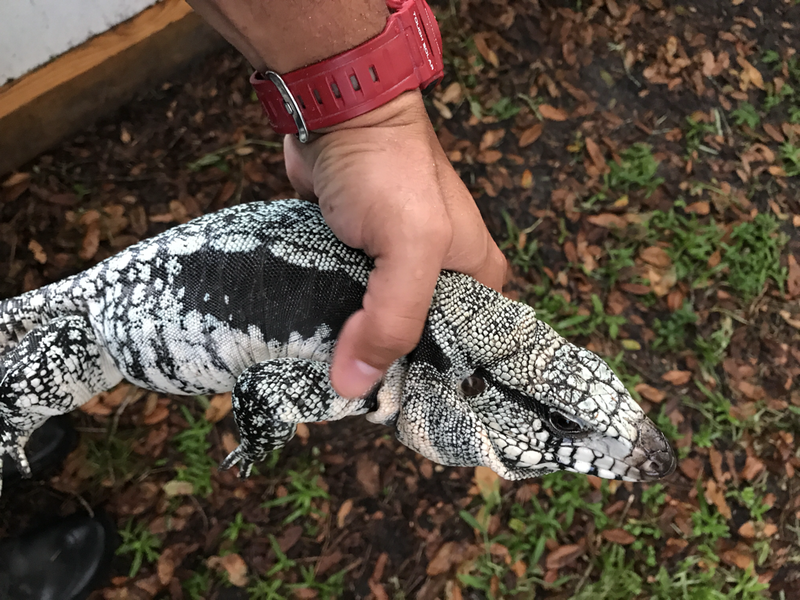 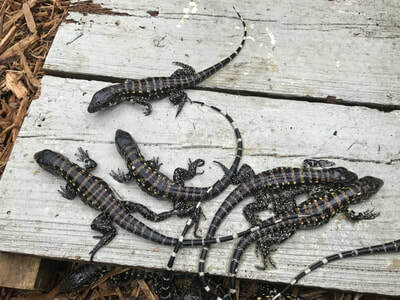 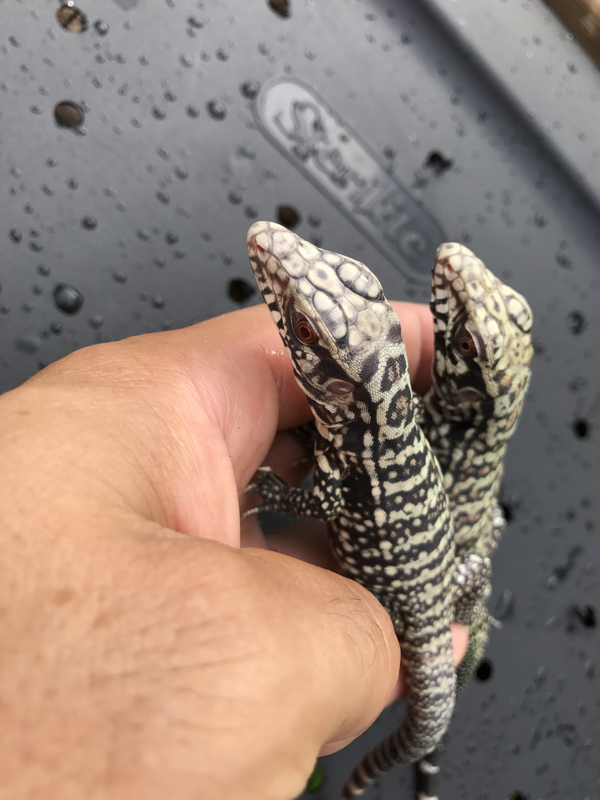 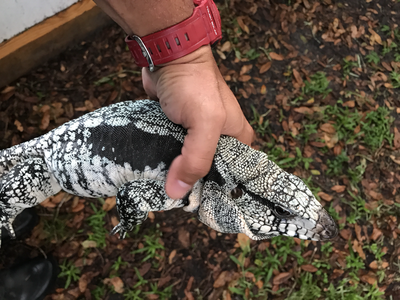 For Sale: Baby blue tegus(66% possible het for albino) from parents showing great actual hues of blue. This pair should produce some very nice looking adults. Please check out my site for more pictures and other information. Feel free to email me with any questions. 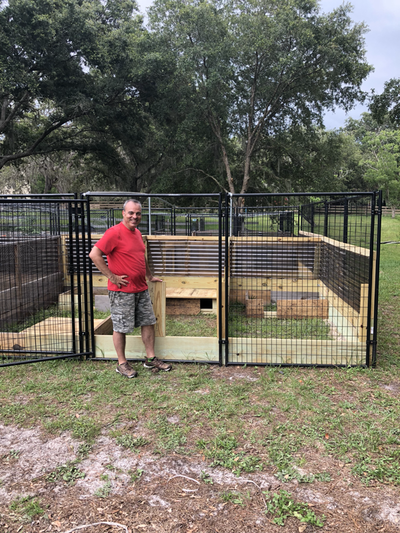 A few months ago my dad helped me build six new cages. It's already about the time for him to return and plan out the next row of cages. 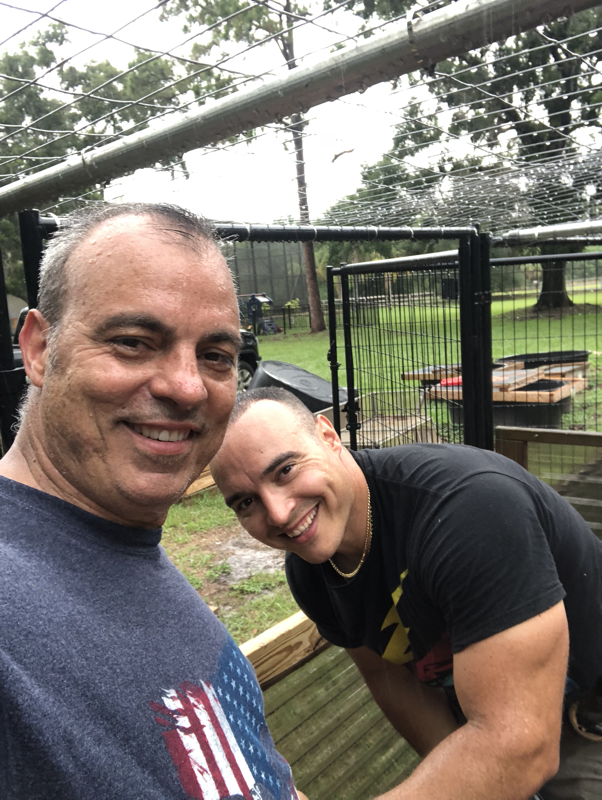 Working with my dad and grandpa as a child taught me basic construction skills and work ethic. 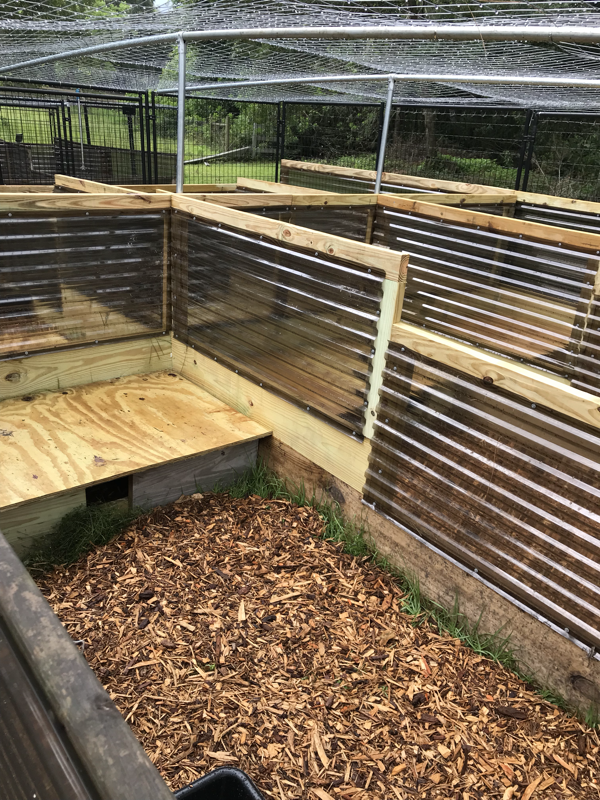 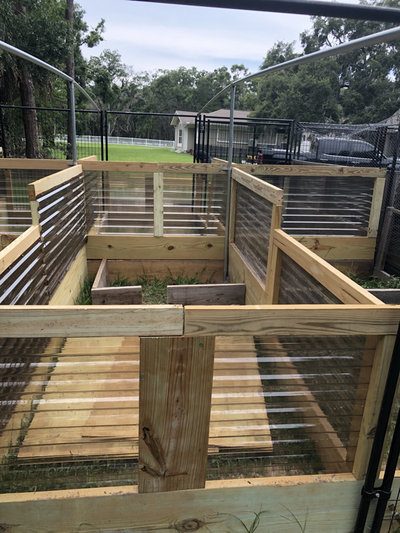 In 2 days we managed to complete these cages despite bugs, heat, rain, and my 2 boys constantly distracting us. Hopefully they will learn construction and work ethic from me. 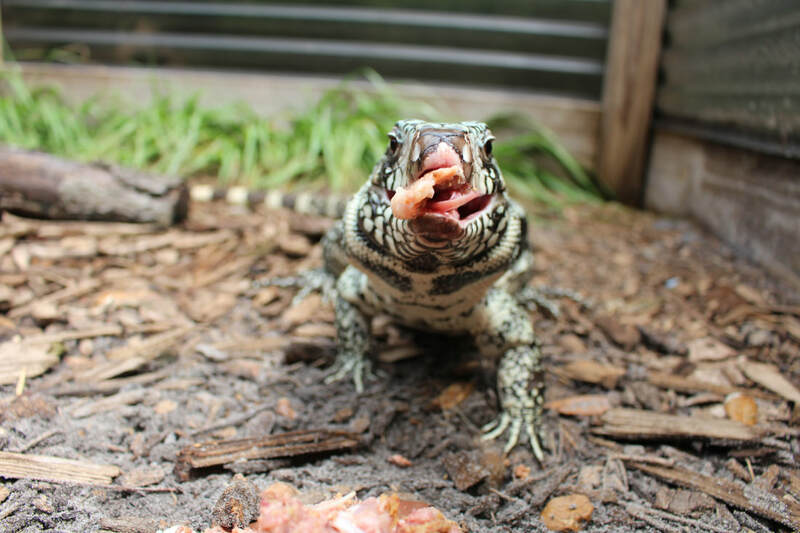 Dad if you're reading this, time to book your next flight! 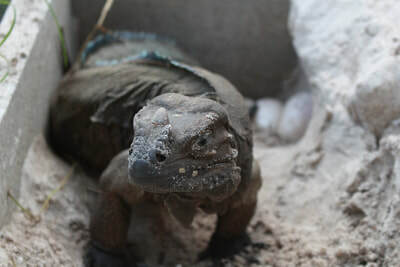 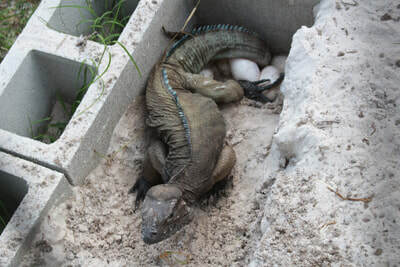 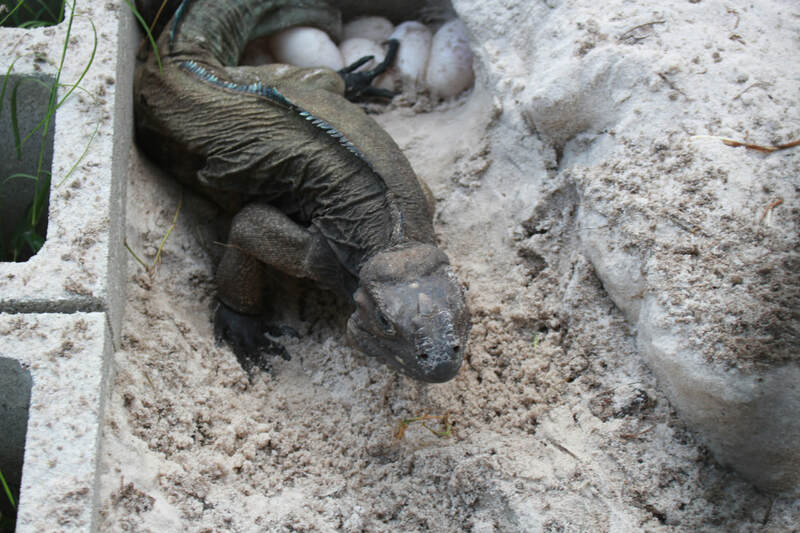 Rhino Iguana Sally laying eggs! This is the first time my rhino iguana pair Stewie and Sally have produced a clutch. 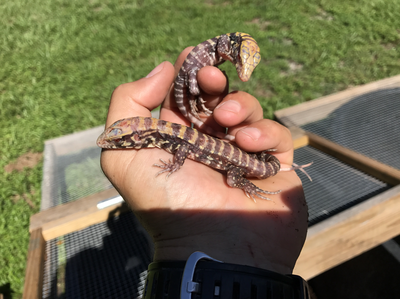 This was so exciting for me as I've raised them from babies and they are my first rhino iguanas. To see her lay her first clutch and have some relief as she's seemed uncomfortable for some time was equally rewarding. Hopefully these hatch out to be some awesome rhinos. This female was brought inside to lay and I used a security camera in the cage to capture her laying while I was out of town. 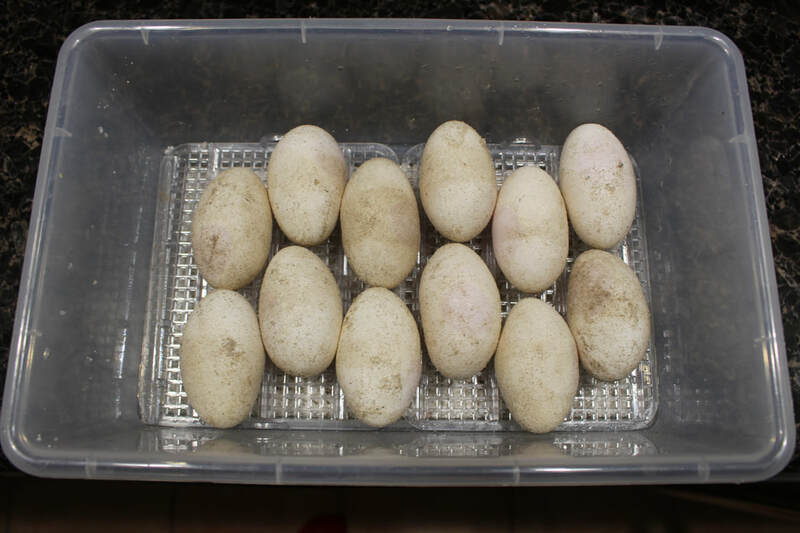 It took her approximately three hours to complete laying all 27 healthy eggs. Shout out to my brother in law Pat for collecting these eggs for me while I was away. 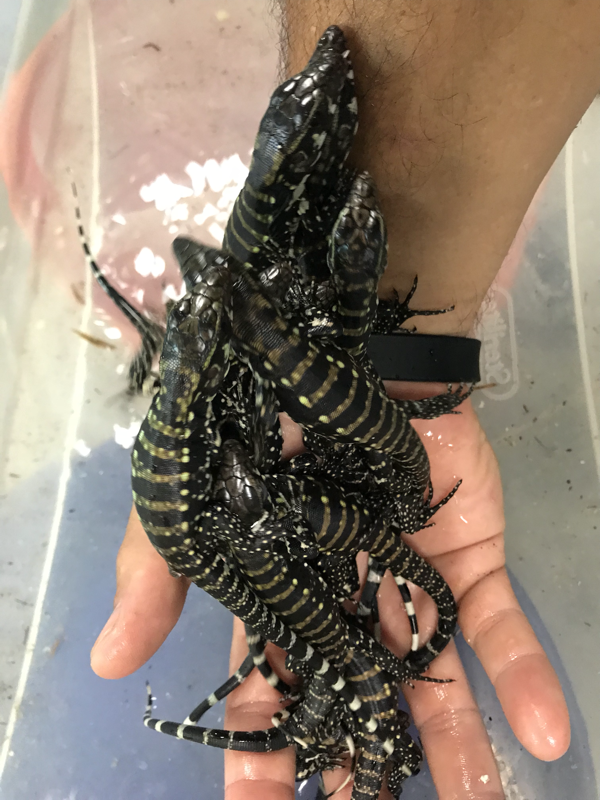 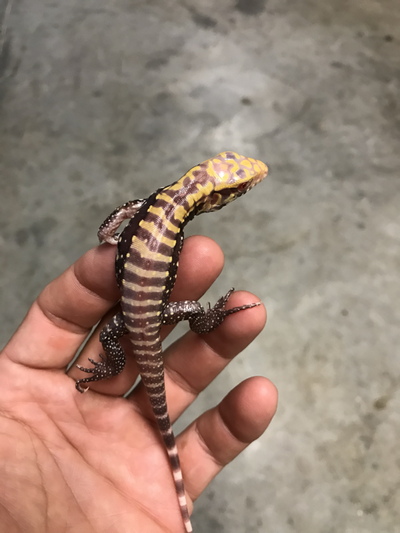 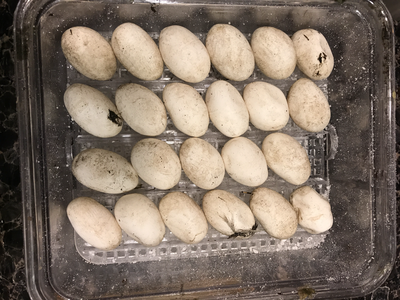 We have a few clutches that have hatched out this season including: Blues, Albino Blues, Hybrids(tribrids), Albino Hybrids(tribrids), Blue/Blue Crosses. 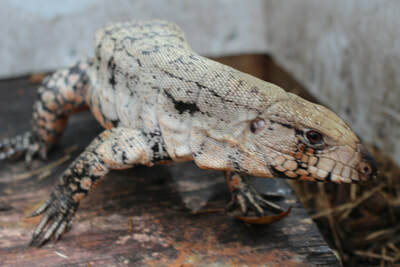 Please see available page for pricing. 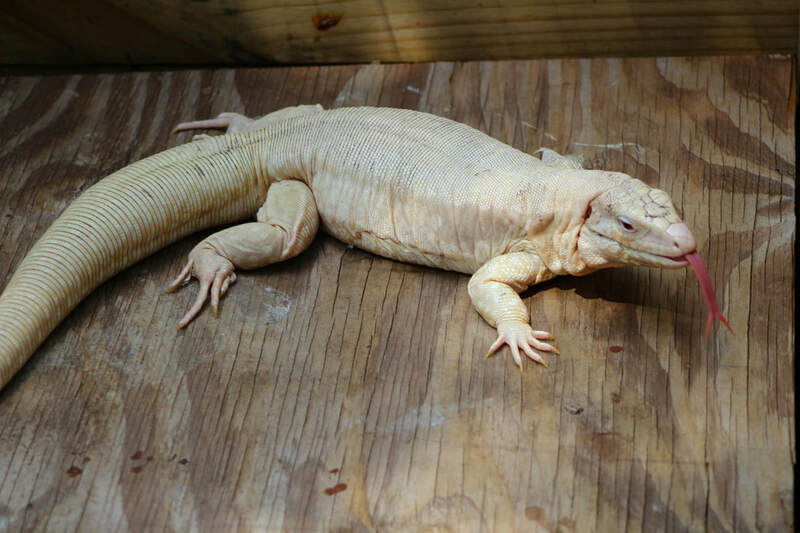 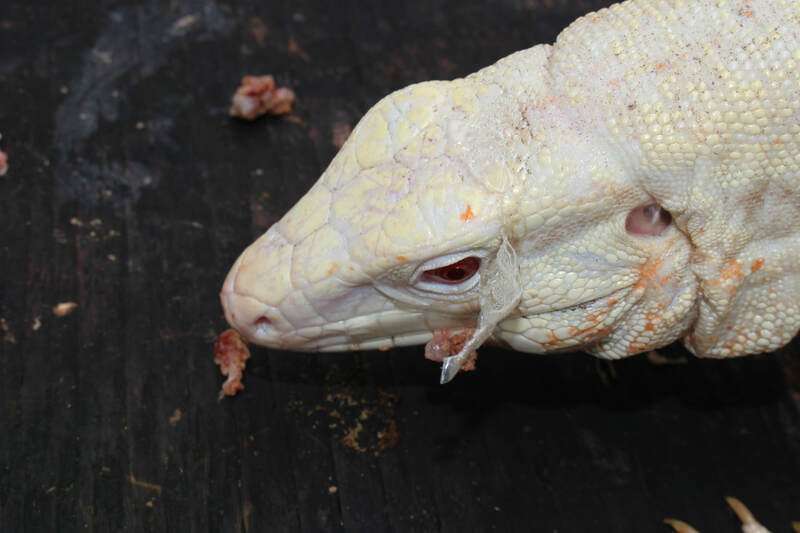 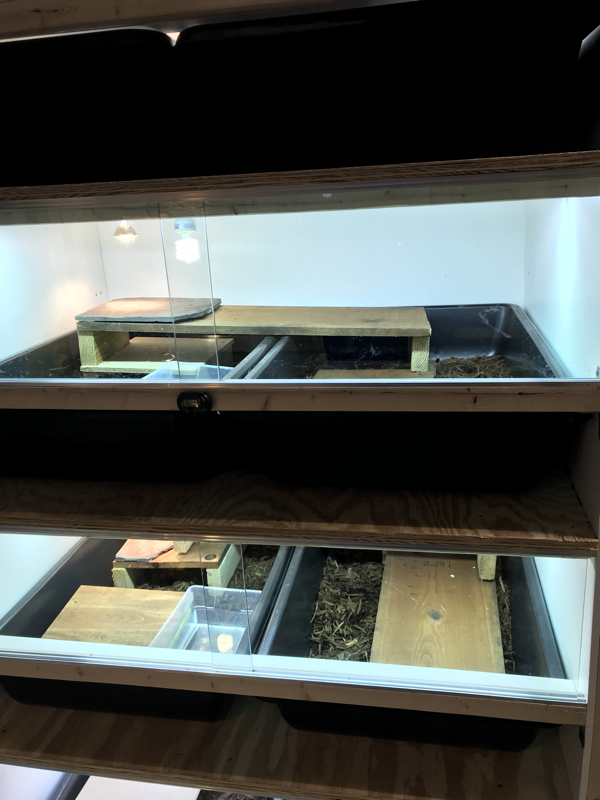 A few pics of one of my albino hybrid male tegus and a photo of my main Scientific incubator which is almost full. 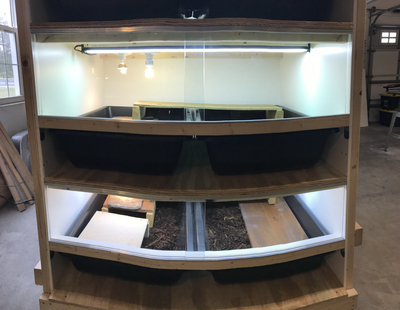 I have two other Nature’s Spirit incubators also which work well and I hope to fill! 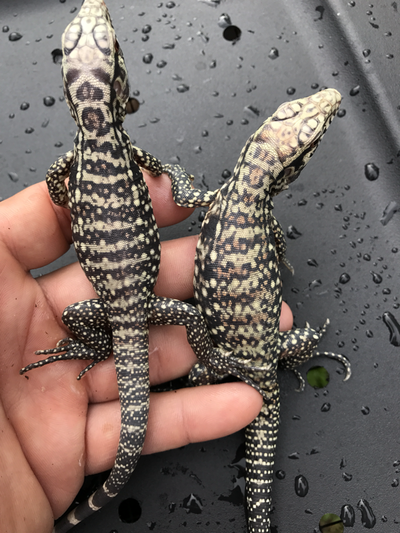 I always look forward to seeing the hybrids because the color varies so greatly and changes over time. 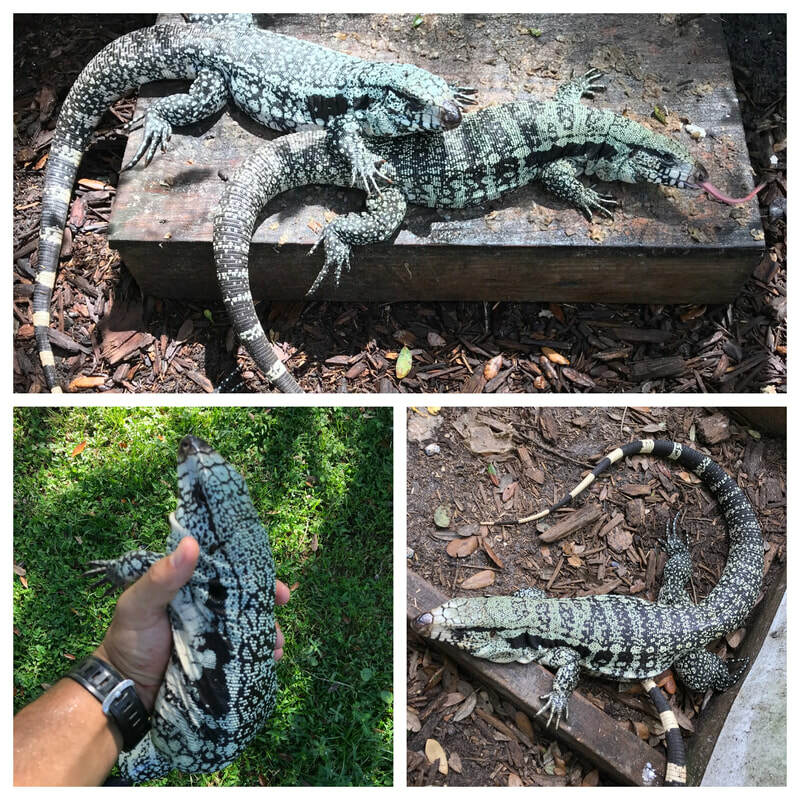 Though I love my blues, they sometimes take over a year to show their best color. 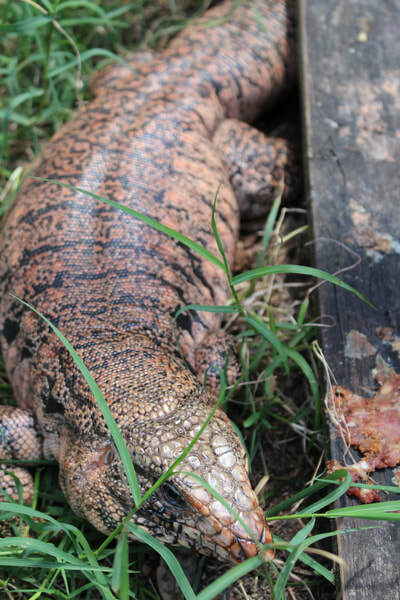 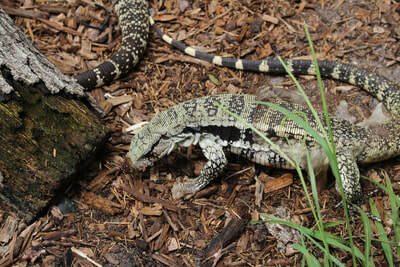 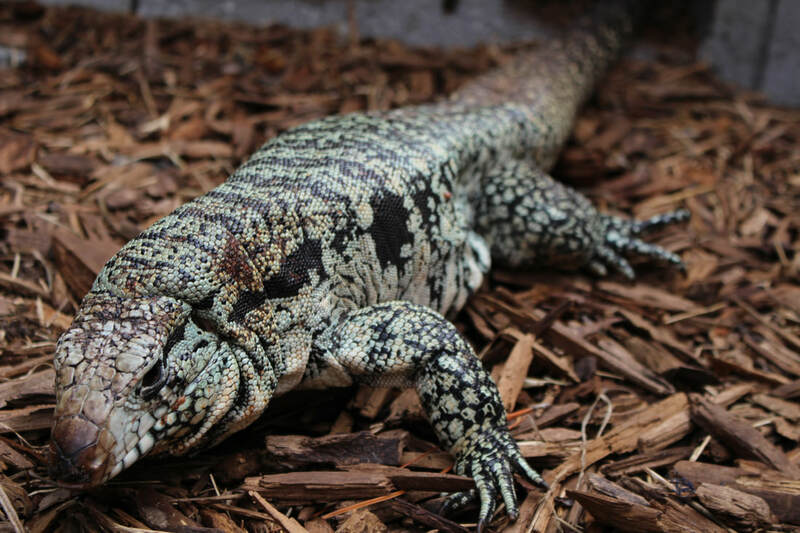 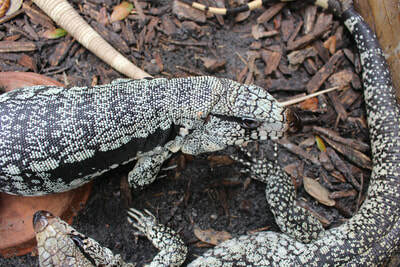 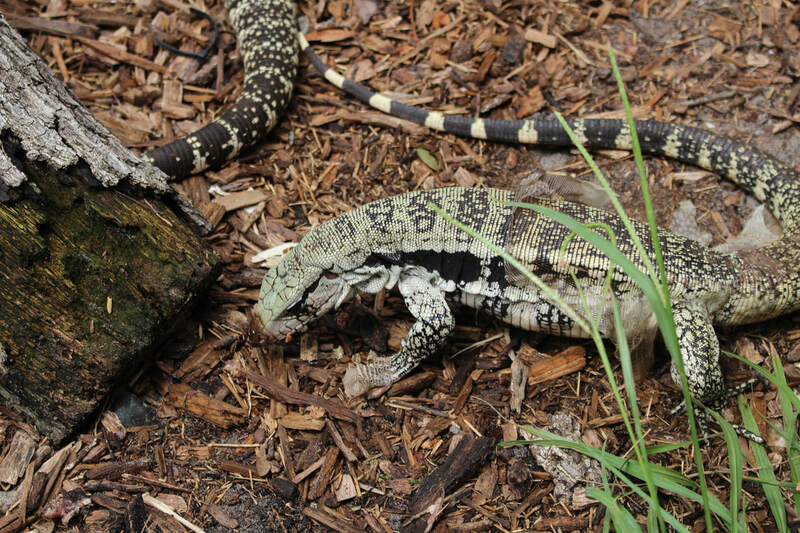 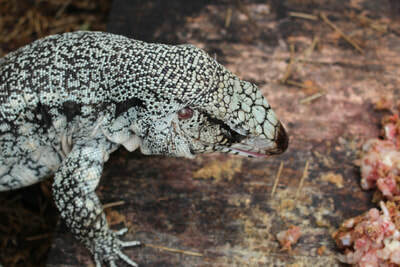 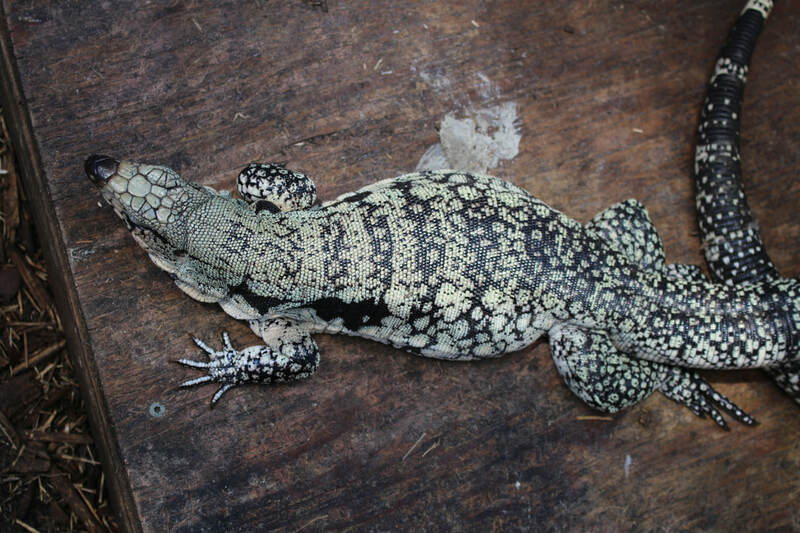 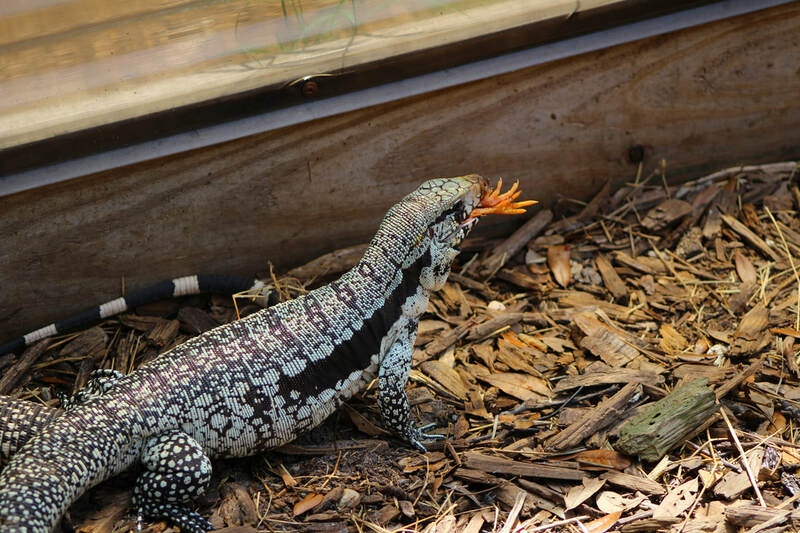 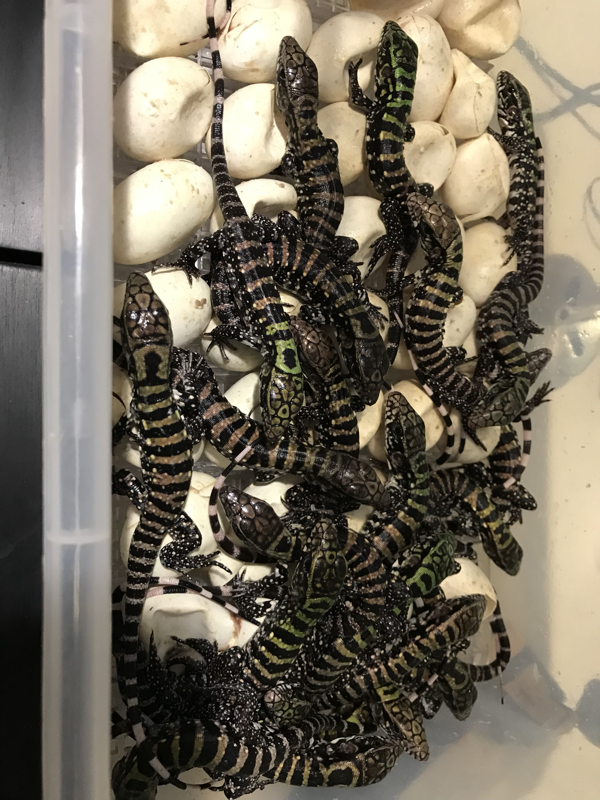 Several tegu clutches have been collected so far and we are very excited to see what these pairings will bring. 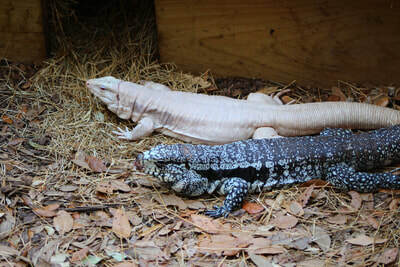 Blues, Hybrids, Blue Crosses, Albinos and all mixed between is what we have so far. 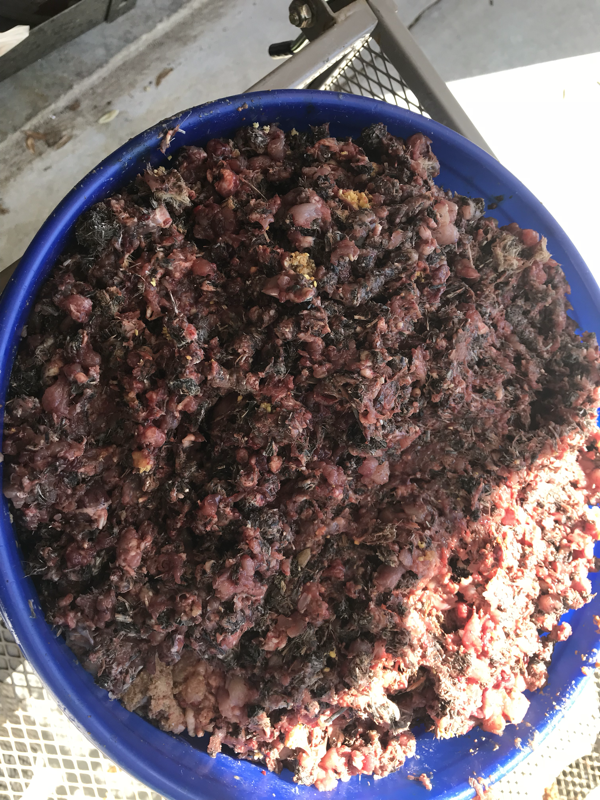 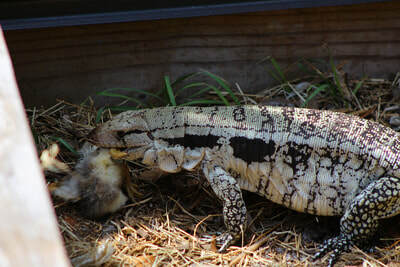 Spoiled tegus fed whole ground up quail. They absolutely love quail meat over any other meat in my observed opinion. Their appetite seems satisfied for a longer period of time. This new rack cage system I built was created with my need to have an easier way to clean cages. 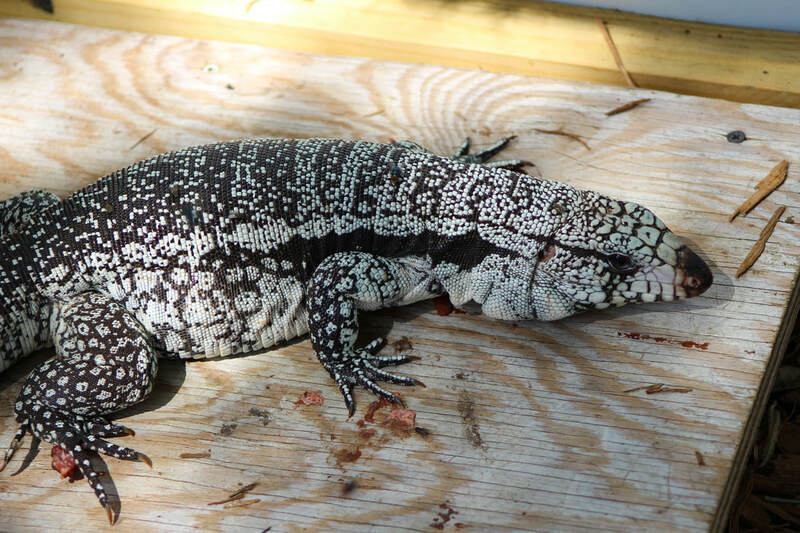 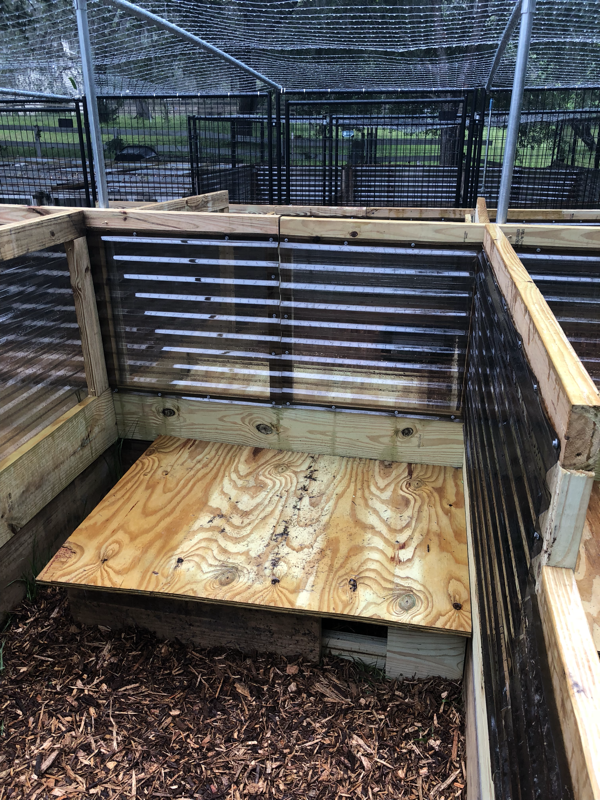 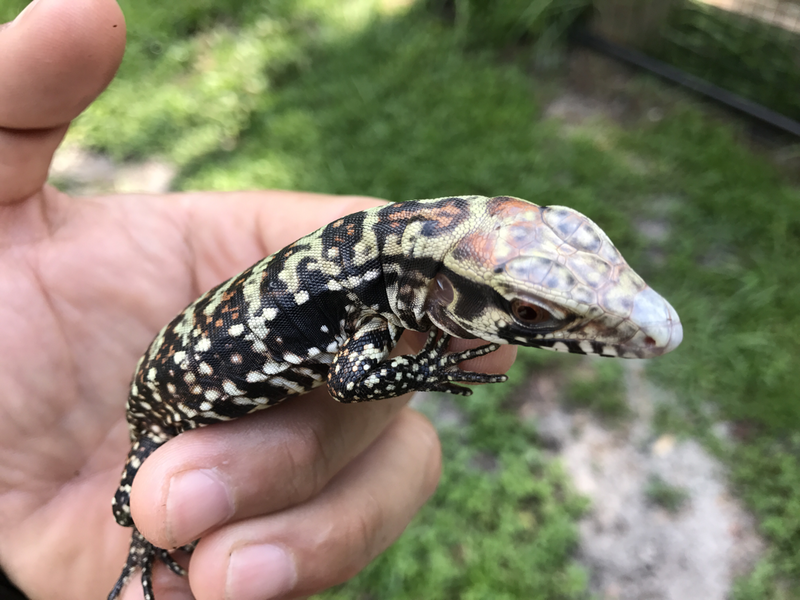 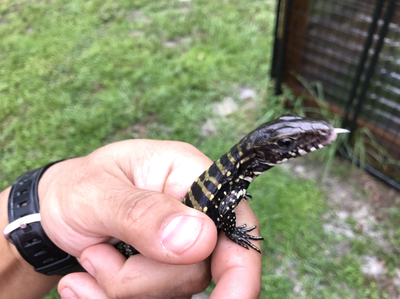 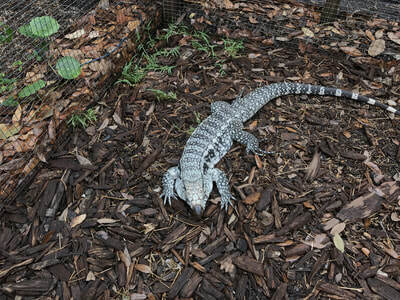 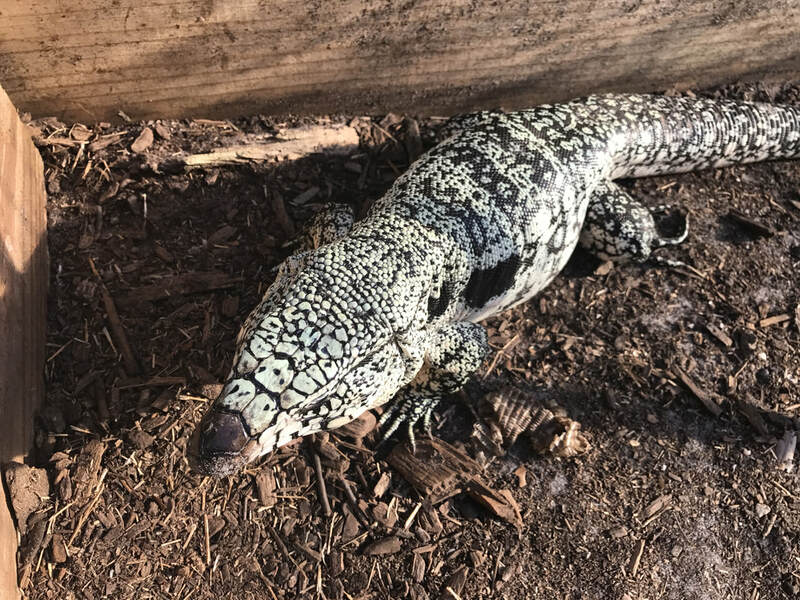 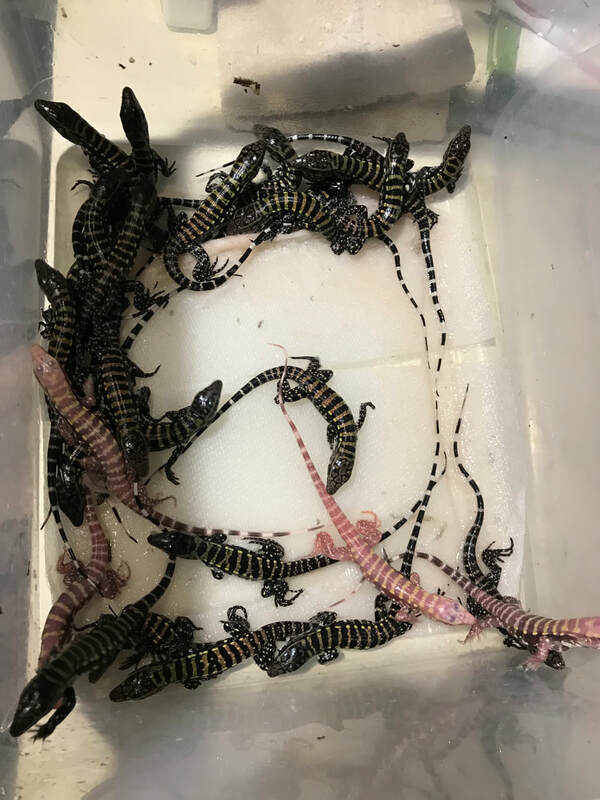 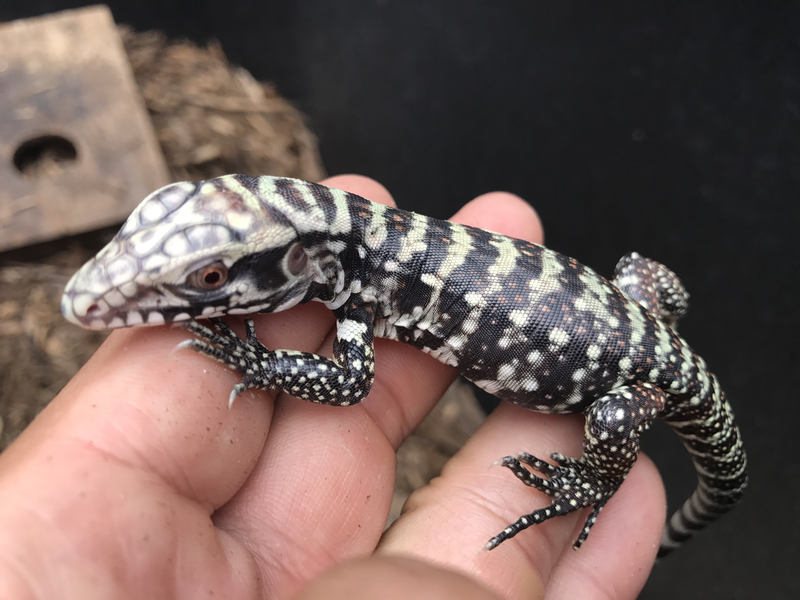 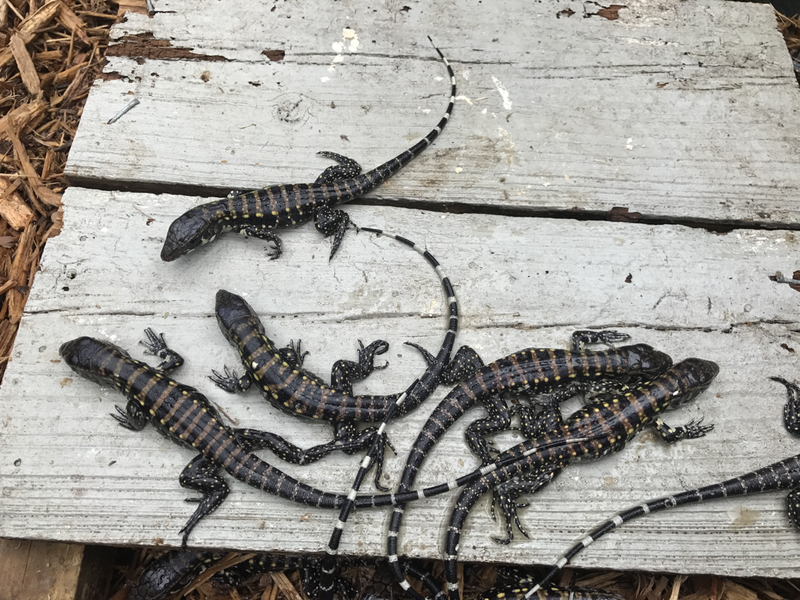 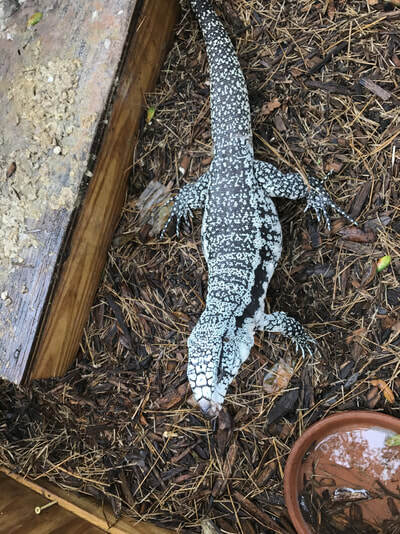 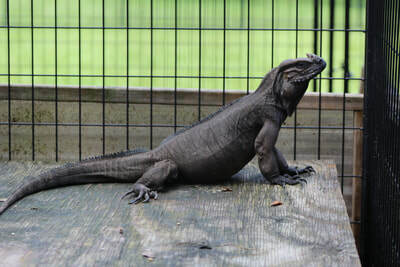 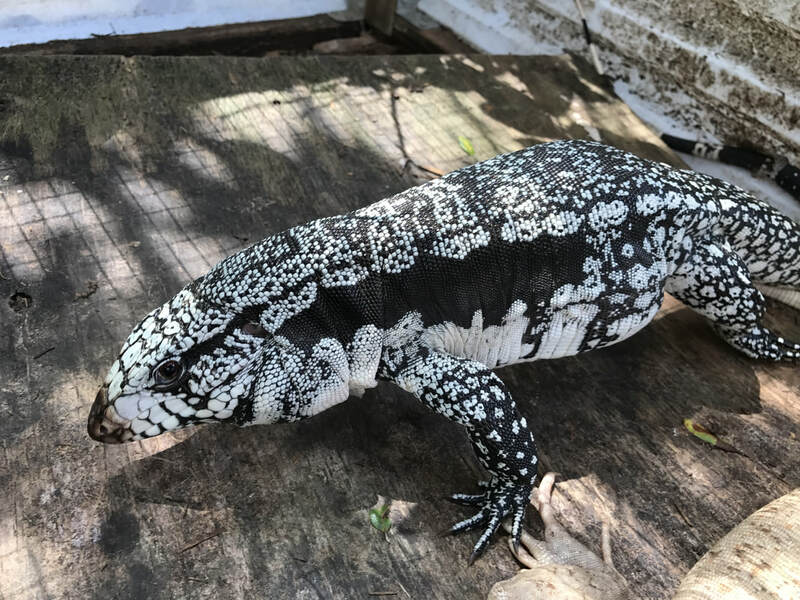 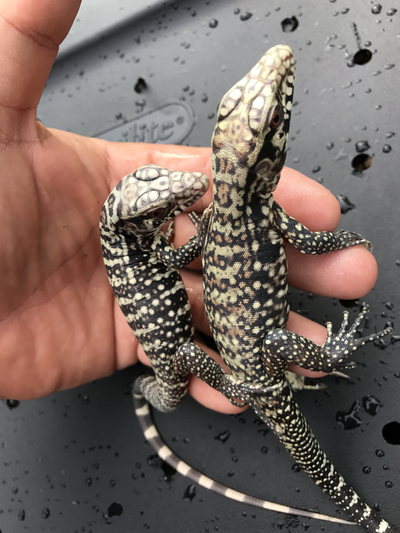 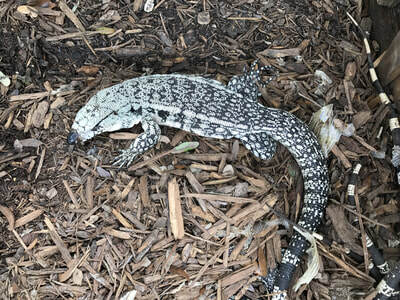 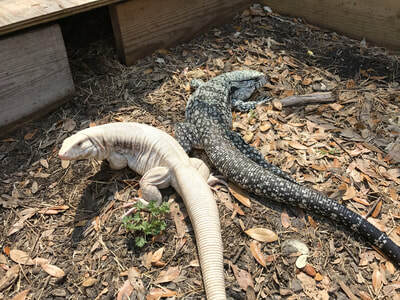 During this time I need cages for keeping juvenile tegus indoors until next spring where they will be moved to their outdoor enclosure. 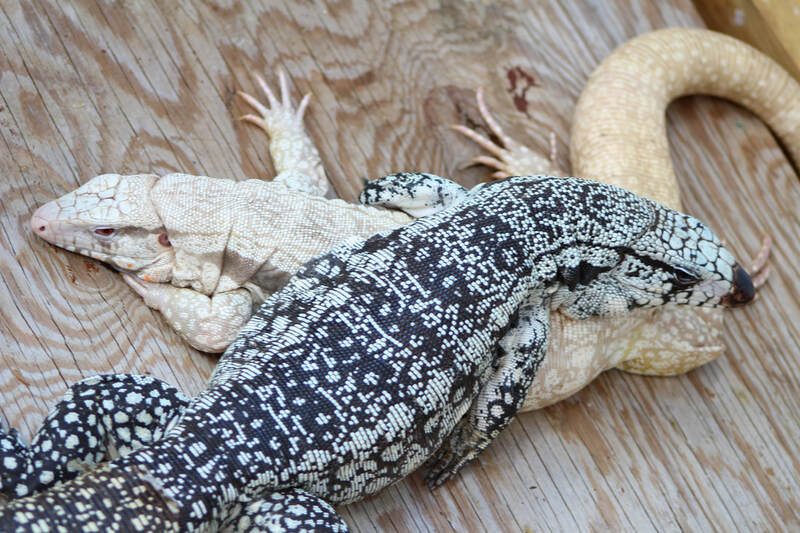 The large stock tanks work great outdoors as I can just dump and hose down. 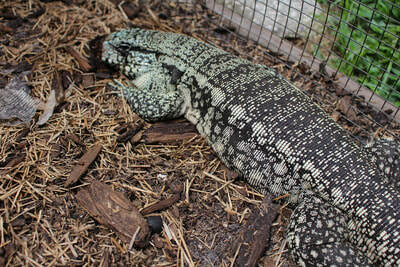 Dragging the heavy stock tanks in and out gets very tiring and is very time consuming. 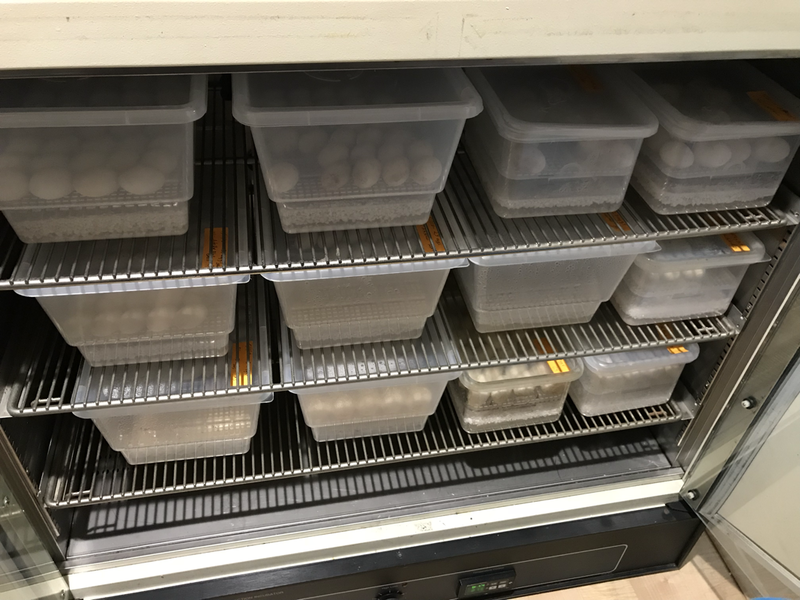 My other rack system has worked well and cleaning is easy working with just the plastic mortar tubs. 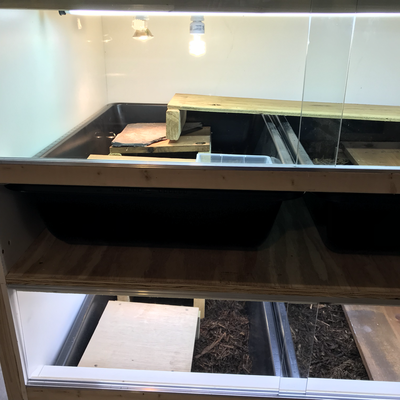 I built the sides with pvc which keeps the temps consistent and hopefully easy to clean as well. Sliding glass doors on metal tracks similar to vision cages. 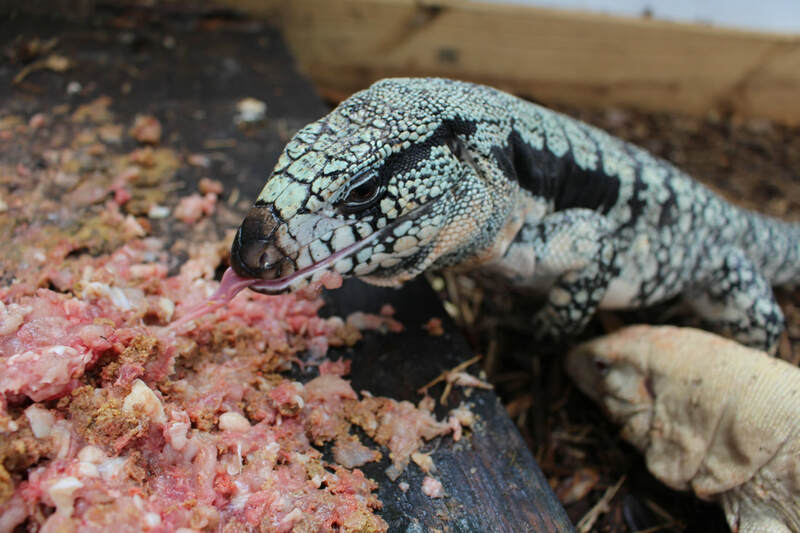 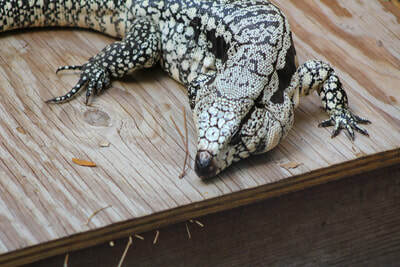 Tegu close ups after some slop. 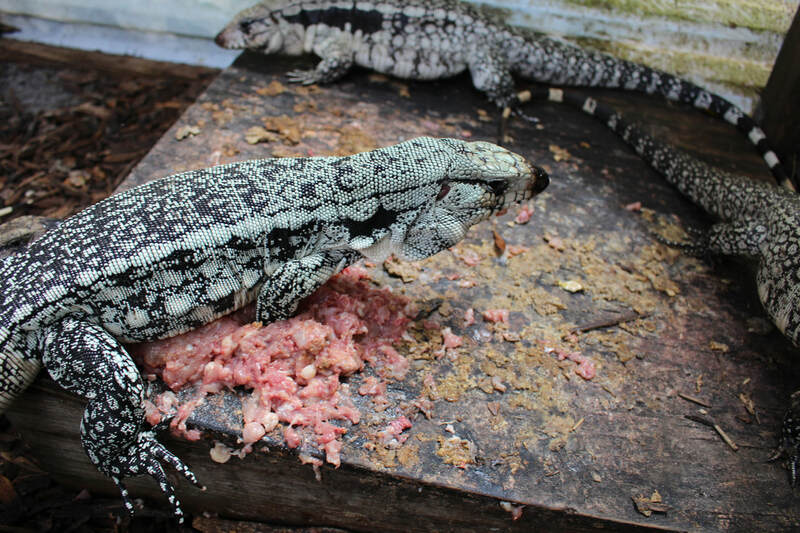 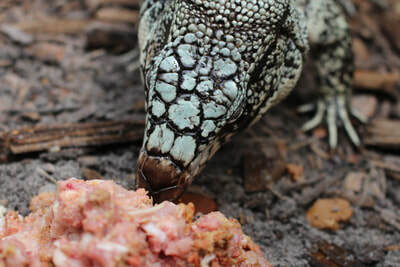 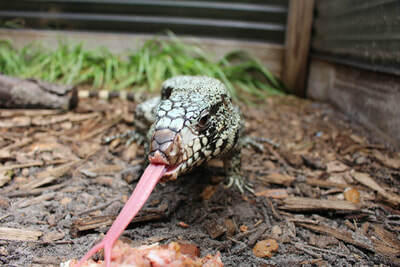 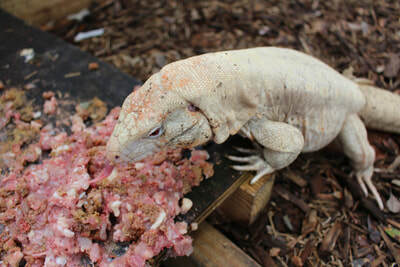 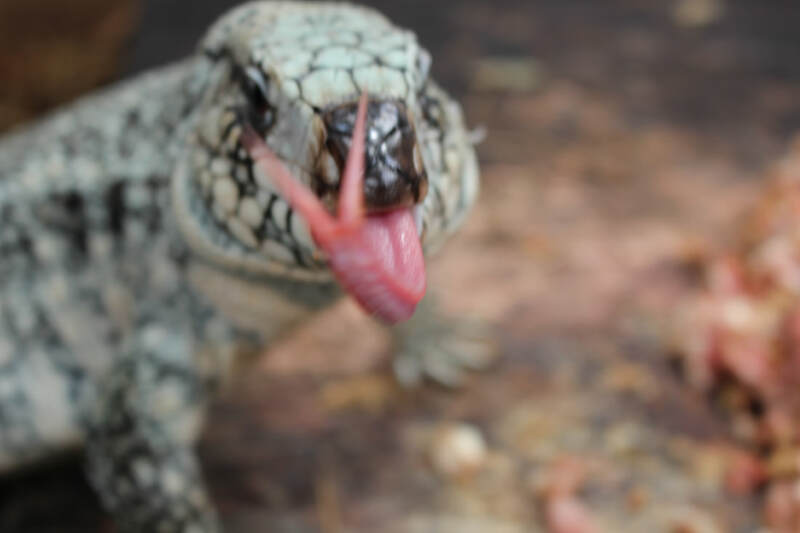 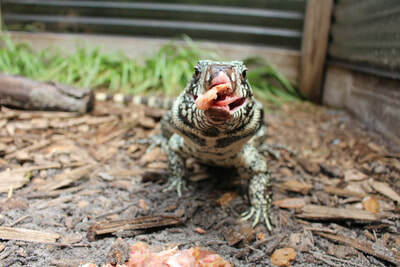 After feeding some meat mix, I took some close up pictures of the tegus - most still had their mouths' full. 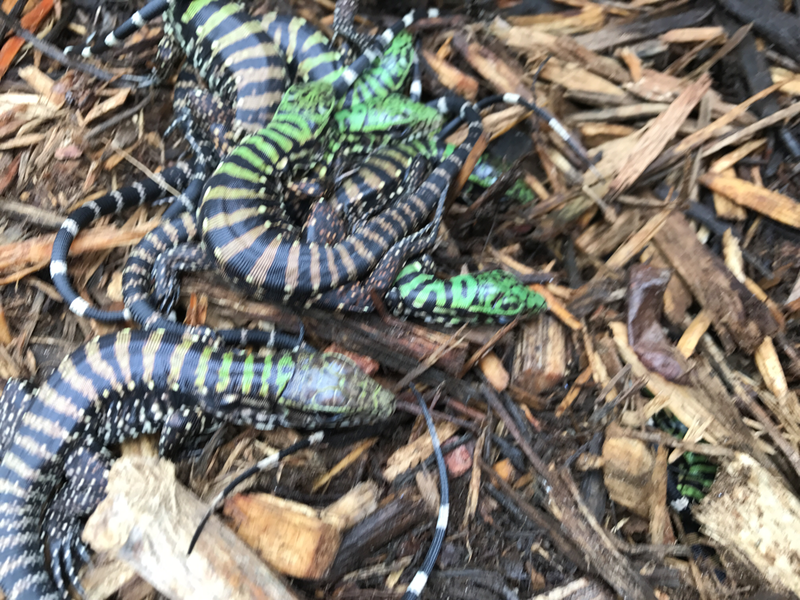 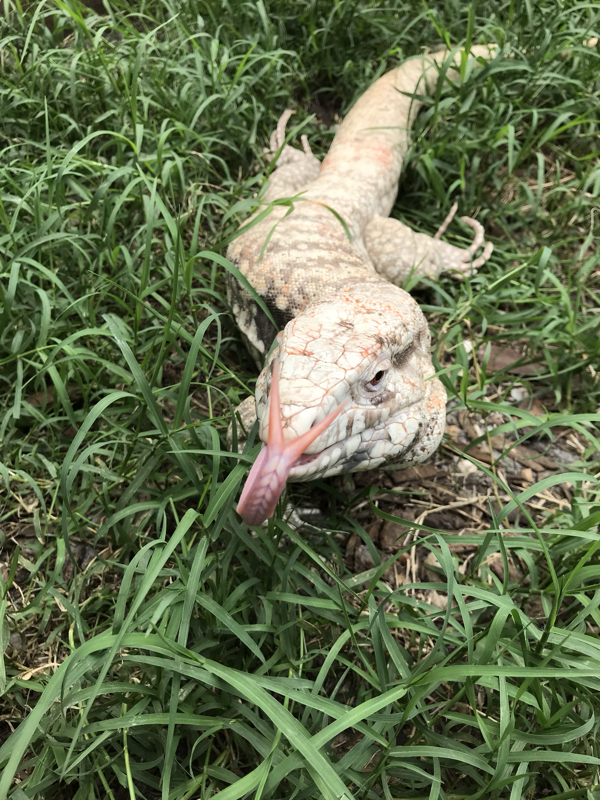 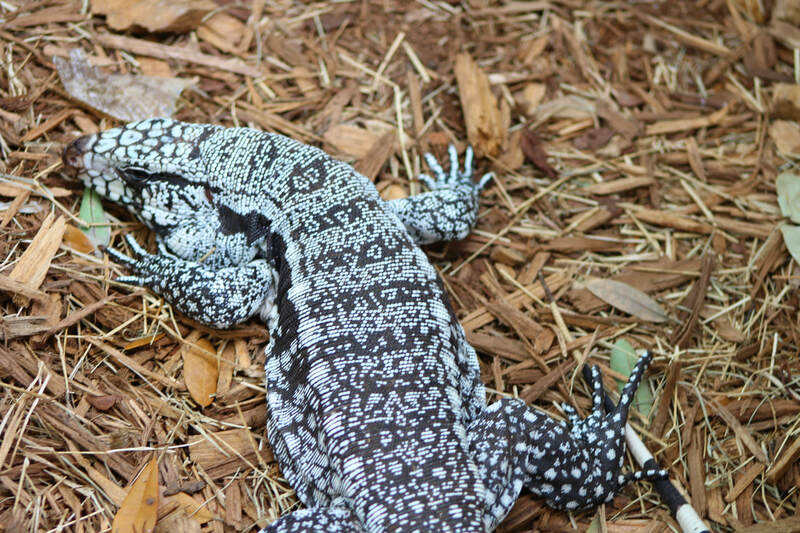 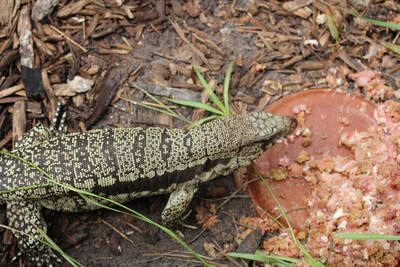 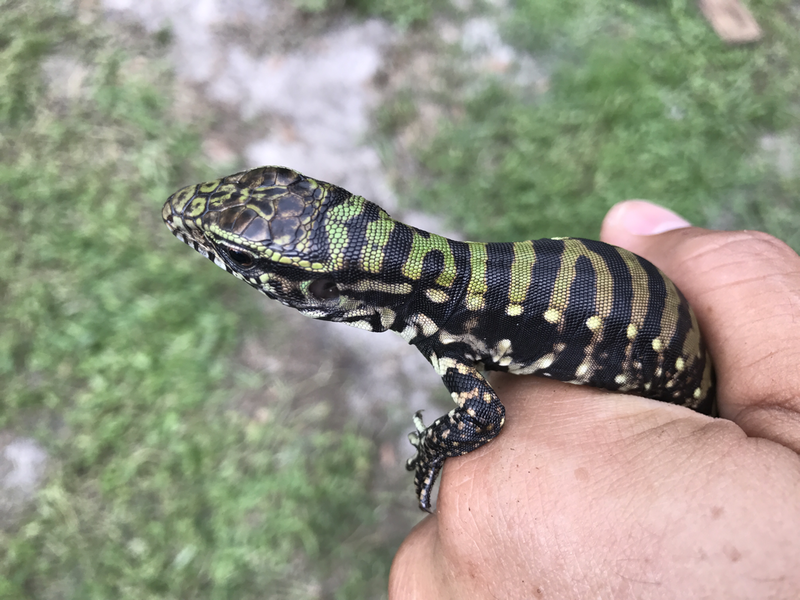 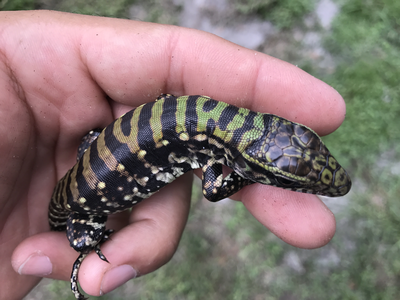 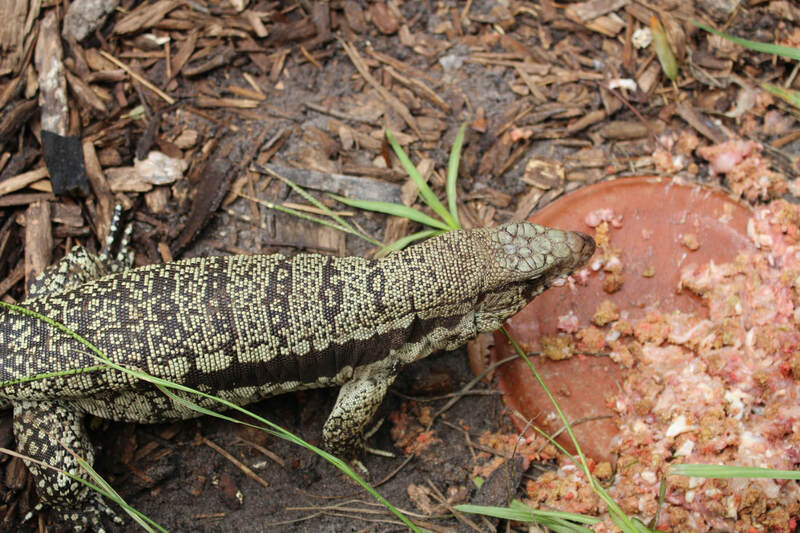 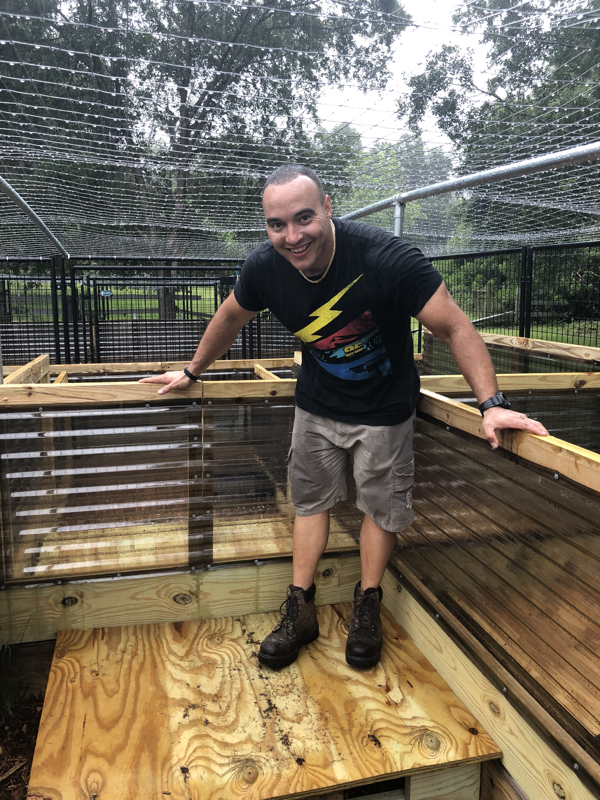 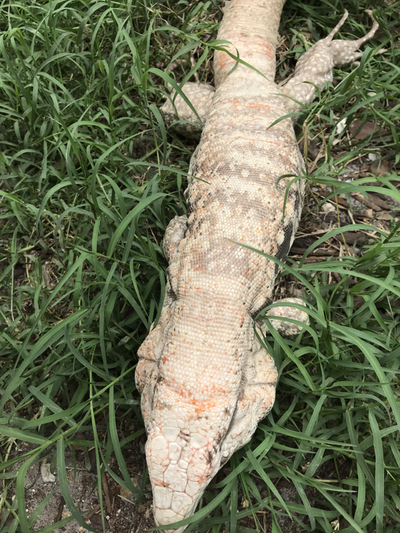 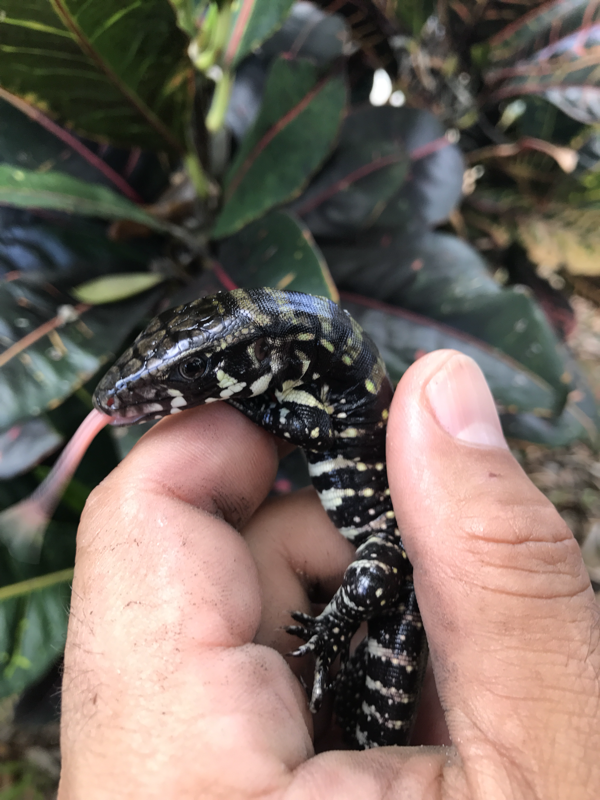 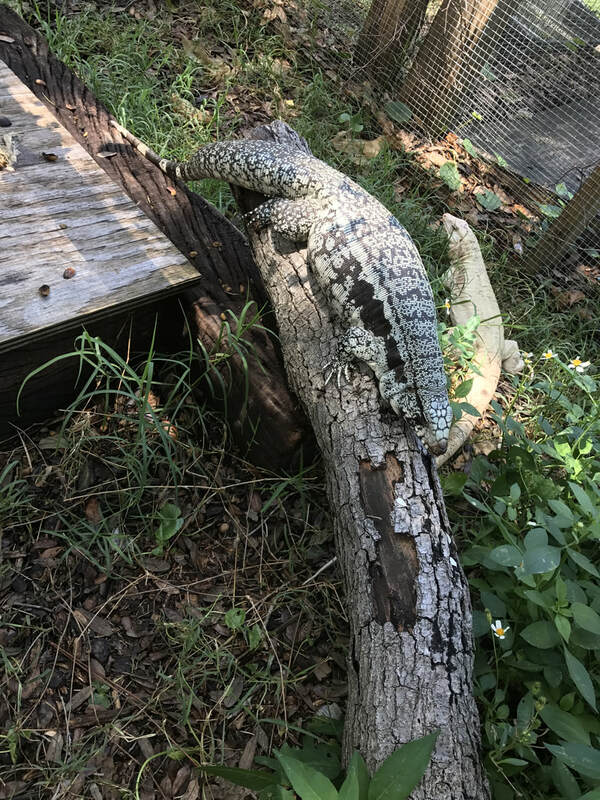 After some heavy rain I went out to collect some blue tegu eggs. 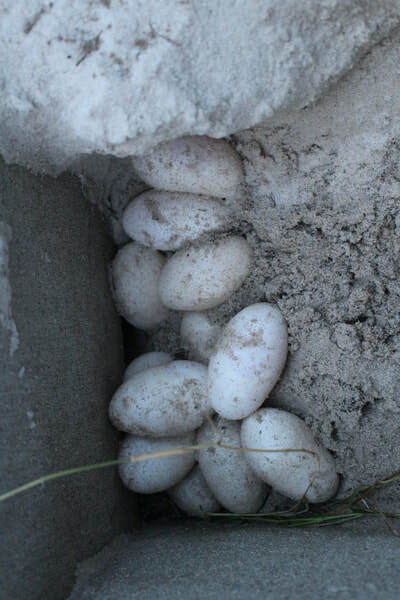 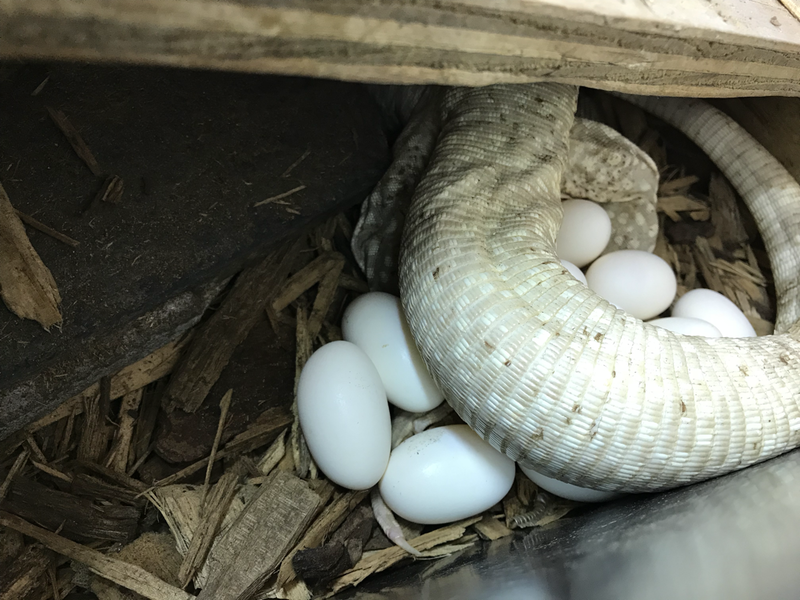 I have several clutches still incubating and am excited (though a little surprised) to keep collecting eggs from my females. 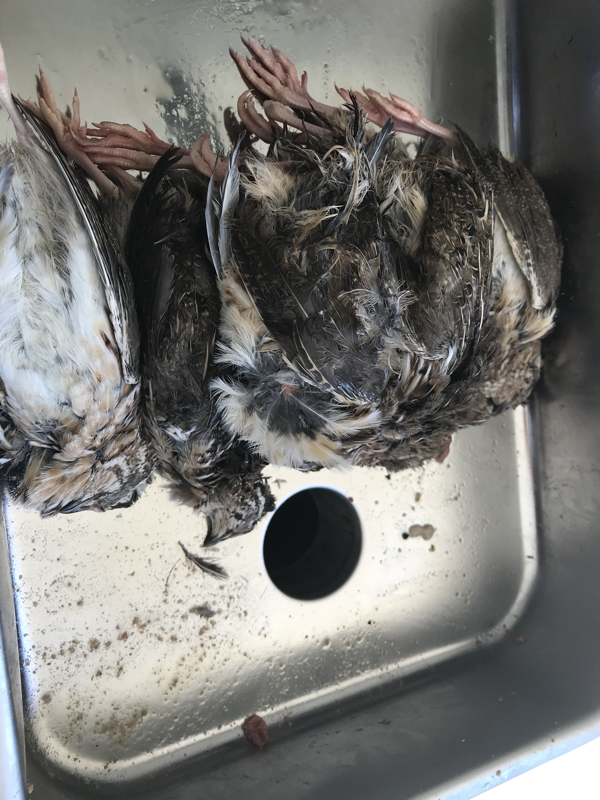 As I've mentioned before, this season is a little "off" in terms of timing. 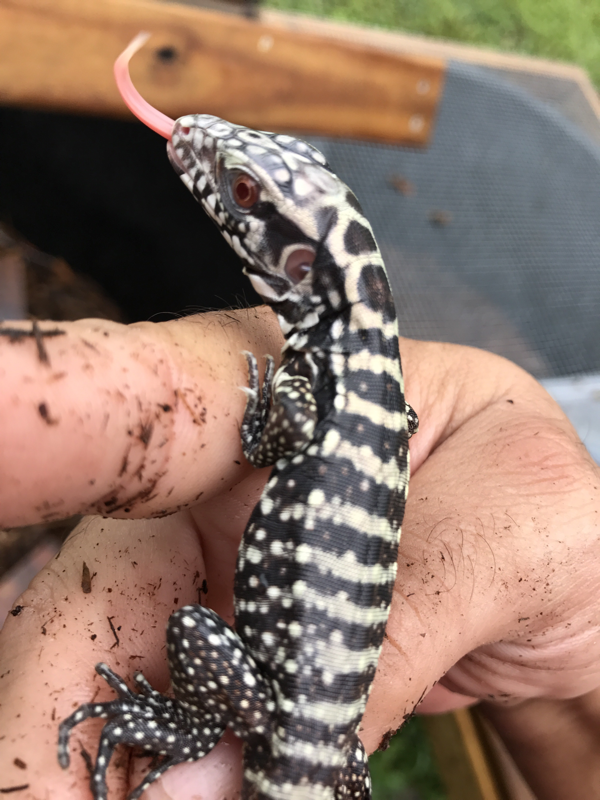 A few people have asked for pics of blues and the breeders. 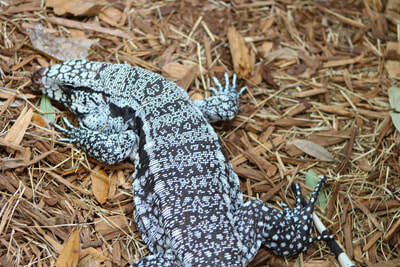 Here are some current pics of most of our breeders for this years blue babies. 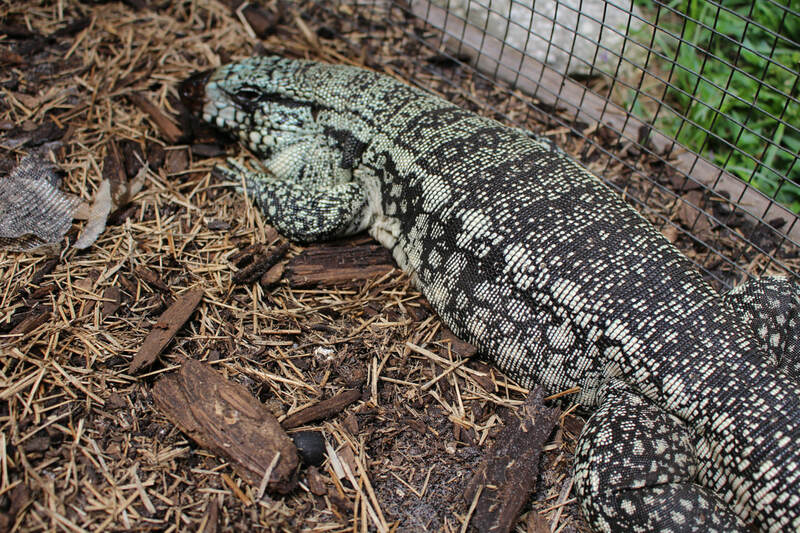 Please feel free to look at the other photos on the site for previous pics of our blue line. 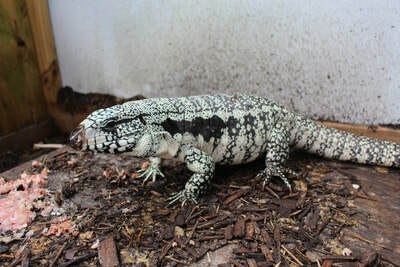 If you have any other questions or to purchase a baby blue please email us at: hectorshabitat@gmail.com. 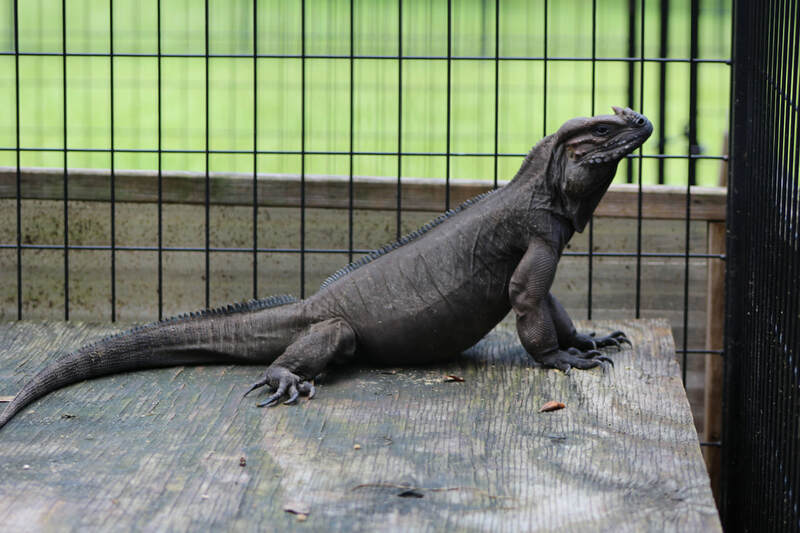 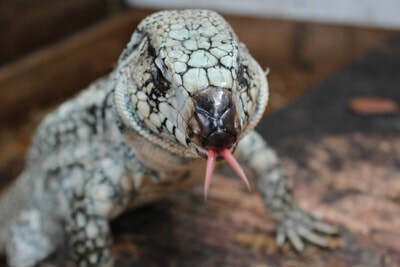 These hybrids are the result of several breedings: beginning with the Blue Cross which was bred to a Red female. 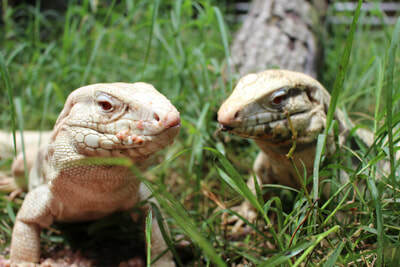 One of those males we raised and now this year we crossed the Hybrid male to an Albino Blue female to get these amazing little albino hybrid tegus(Click Here to see parents). 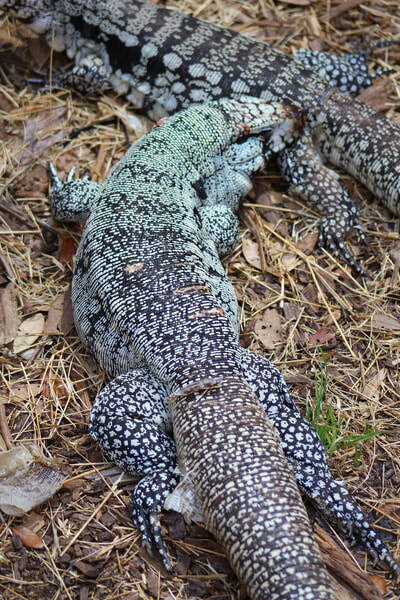 The contrasting colors really pop on these guys and are all plump eating very well enjoying the Florida weather. These babies are $2800 shipped. Please contact us with any questions. 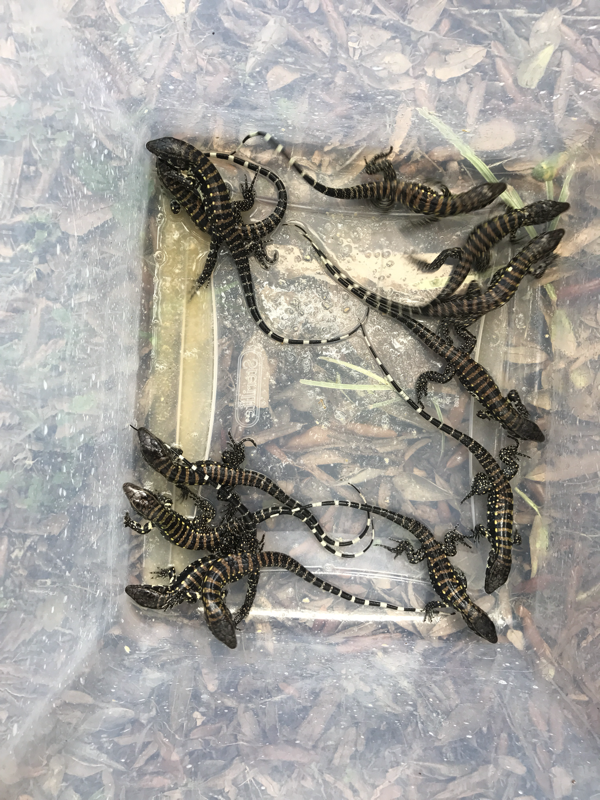 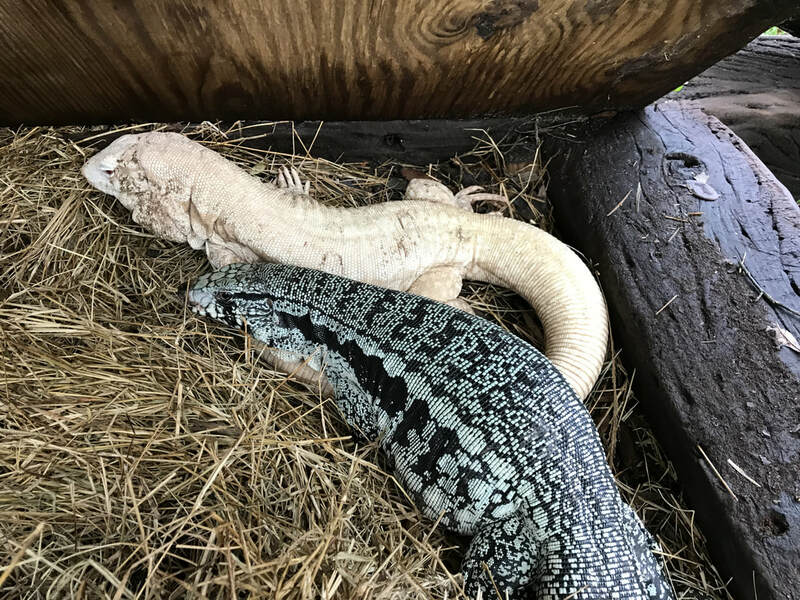 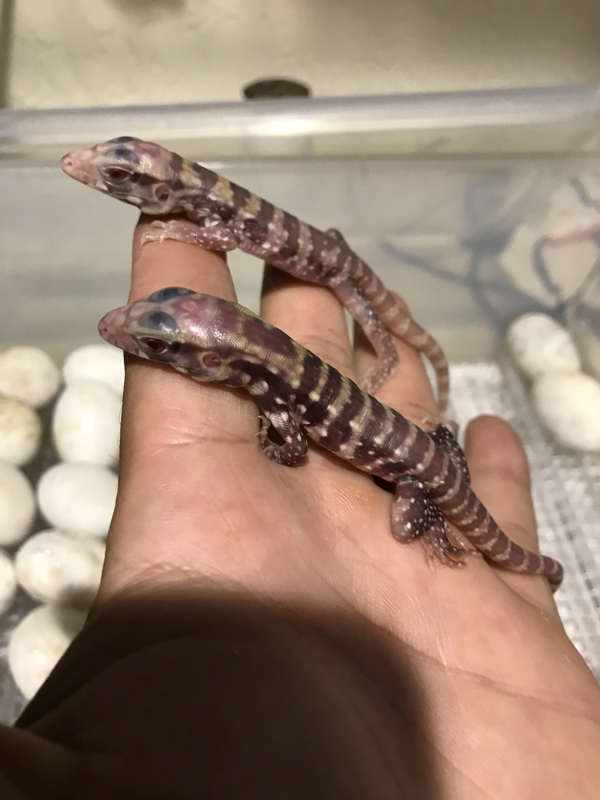 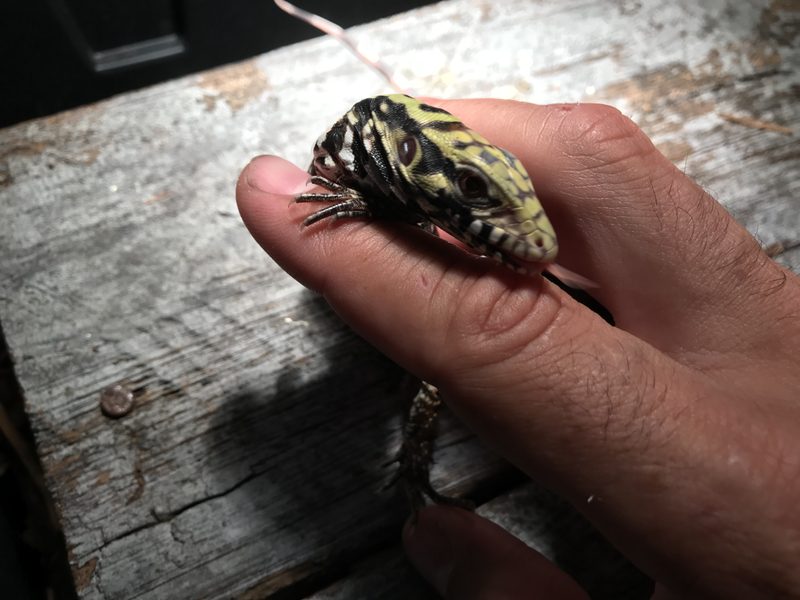 Tegu babies have begun to hatch and so for we have hatched: Blues, Blue Crosses, Blue Albinos, Hybrids(blue/BW/red), Hybrid Albinos. 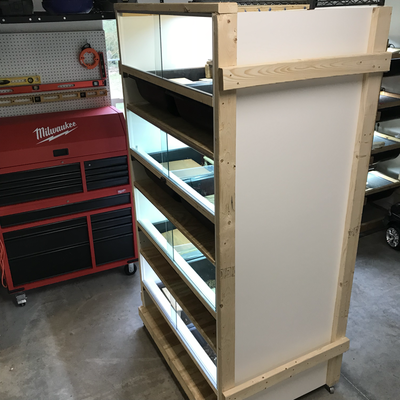 Some are ready to ship and others I will hold for another week. 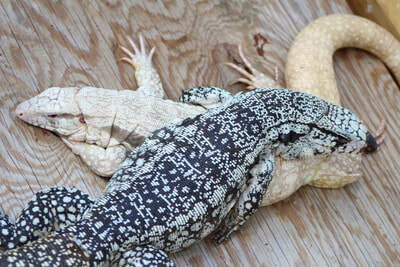 Please see my available page for pricing. 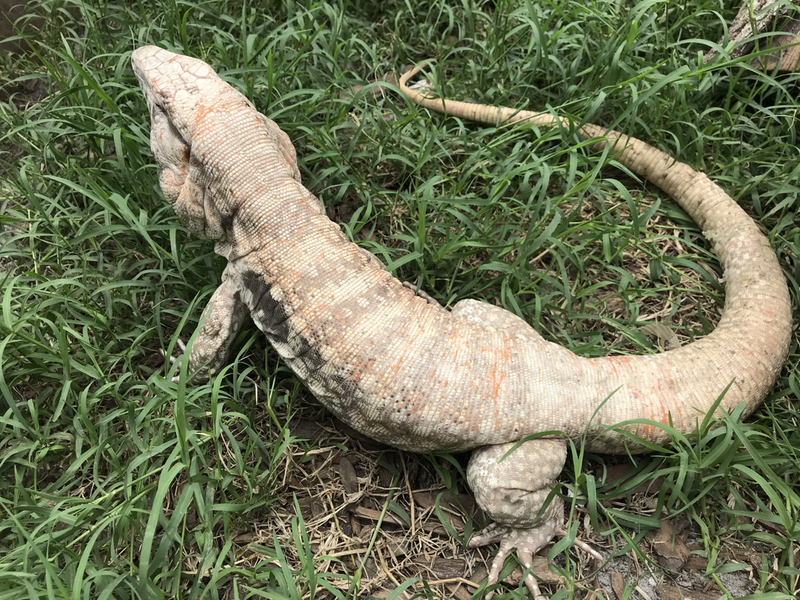 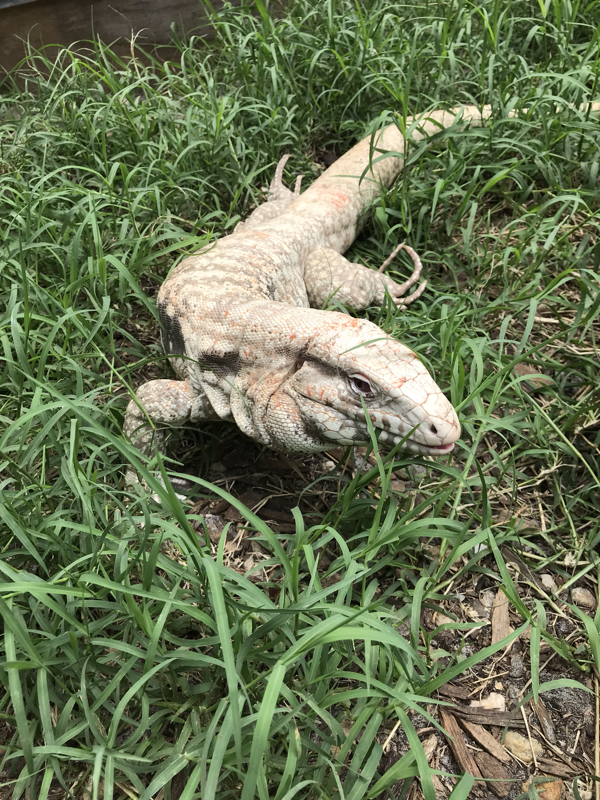 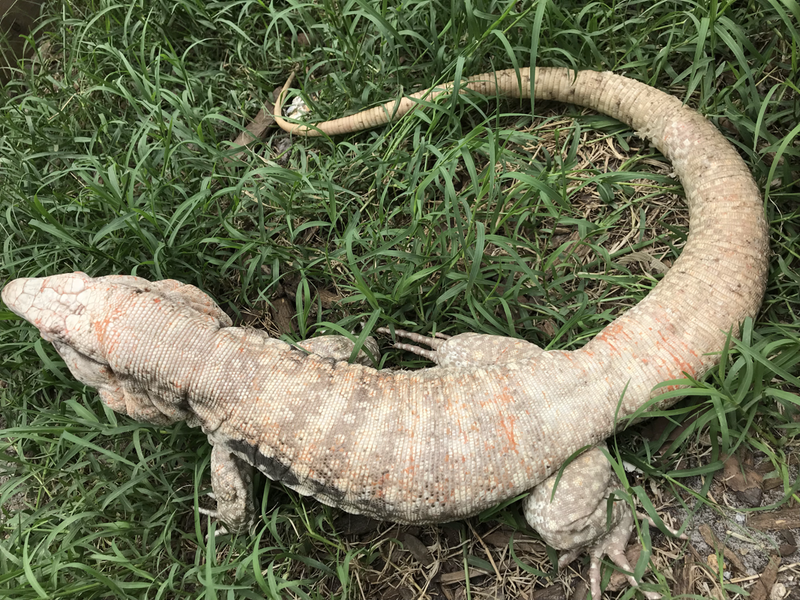 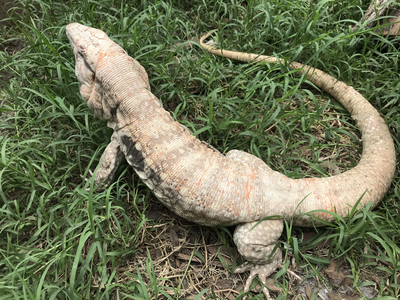 Late breeding season for the Tegus. 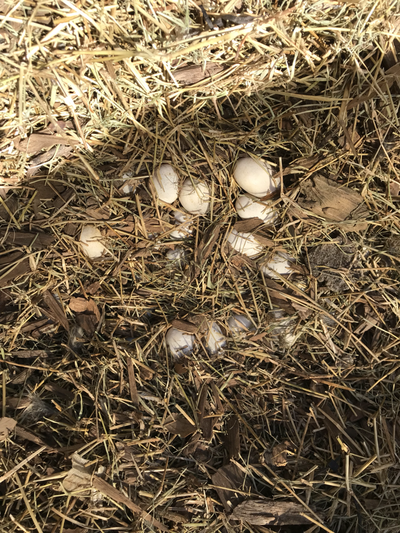 This year the weather was very dry during the early spring. 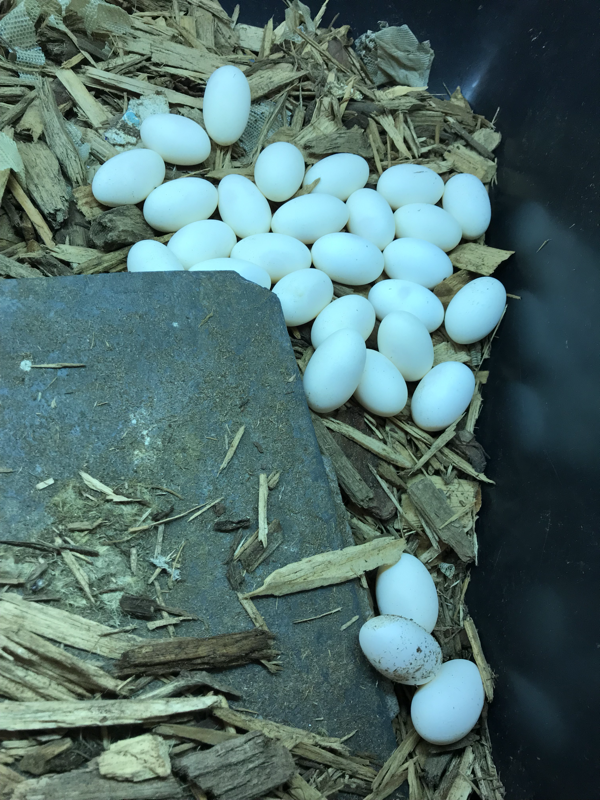 I think this directly affected the egg laying season as I've noticed some females laid earlier (often infertile) and now others are laying after a short break (more commonly fertile). Also, I'm noticing that I still have lizards that are just starting to breed, which is interesting this late in the season. 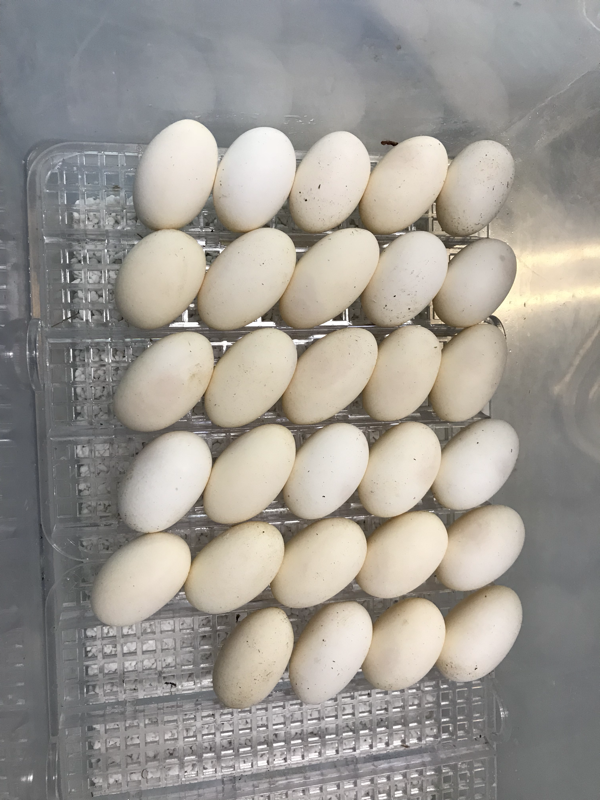 I'm very excited to see what comes out of this year's pairings especially some eggs I collected yesterday from a very nice blue pair.